Our builder at Eighth & Grand, ConXTech, is using an innovative construction process, which favors prefabricated steel beams that snap into place rather than being welded. Unlike wooden structures, it’s more versatile and doesn’t need to be built level by level. Bob Simmons, founder of the Bay Area firm, calls it a “more holistic” approach to constructing a midrise apartment complex – and we couldn’t agree more. The unique “snap-and-go” technique not only saves time and man power, but is also safer and greener. 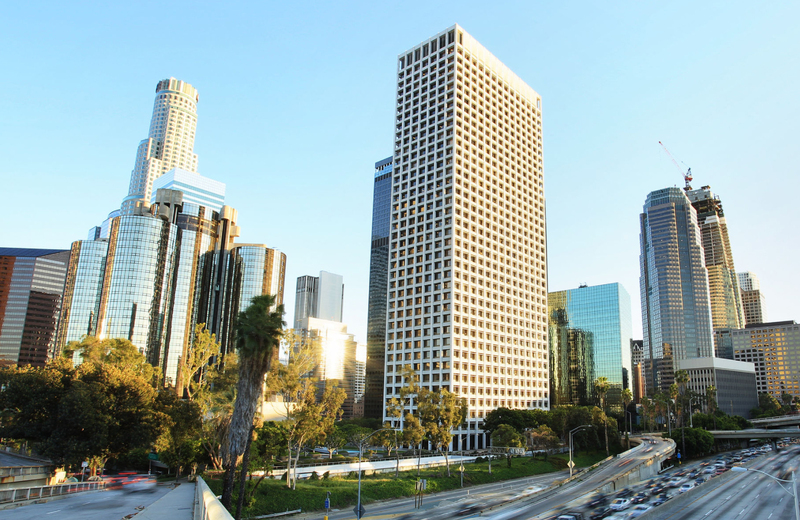 Located between Grand Hope Park to the south and Pershing Square to the north, the rapidly rising Eighth & Grand apartment complex promises to be the premier residential and retail outlet downtown – a central hub in the ever expanding L.A. mosaic.